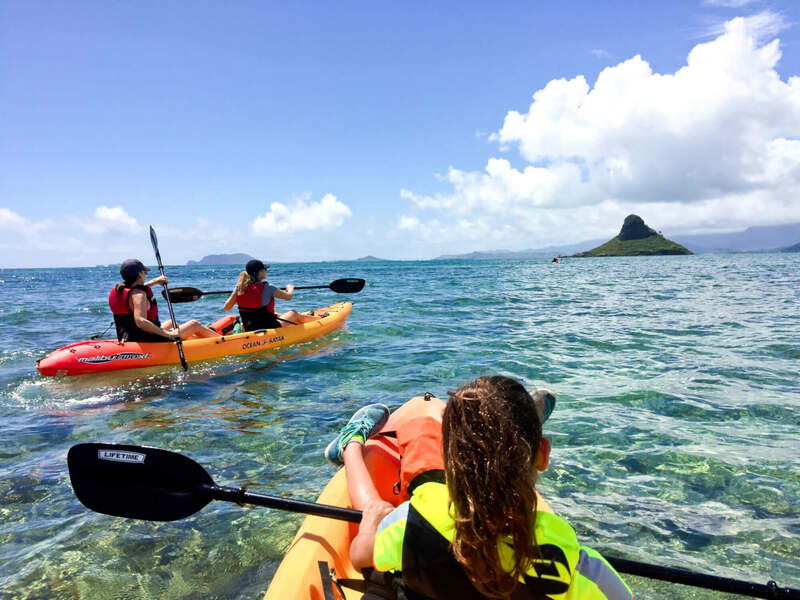 Experience ocean kayaking to Mokolii on our Chinaman's Hat Self-Guided Kayak Tour*. We provide everything you need to have a great and safe time out on the water. 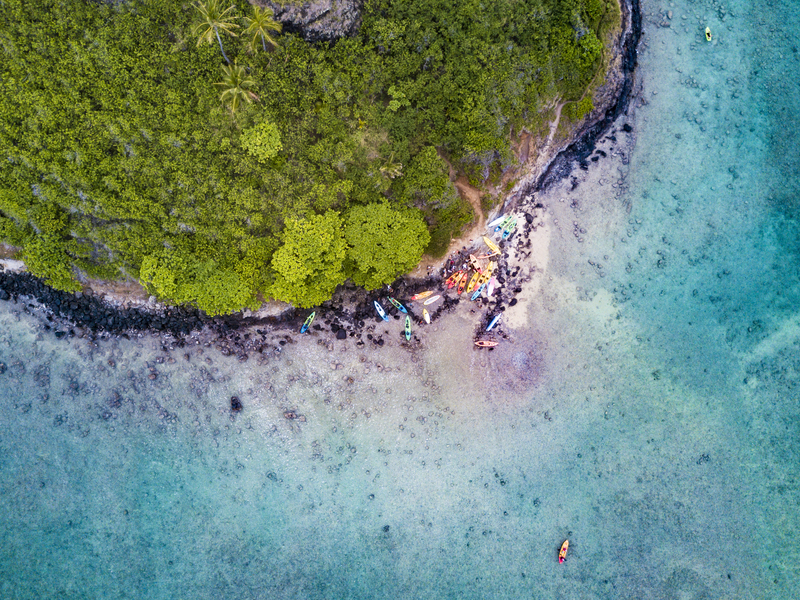 You'll get kayaks, seat backs, life vests, dry bags safety equipment and private instruction before you set out on your own to experience Chinaman's Hat. 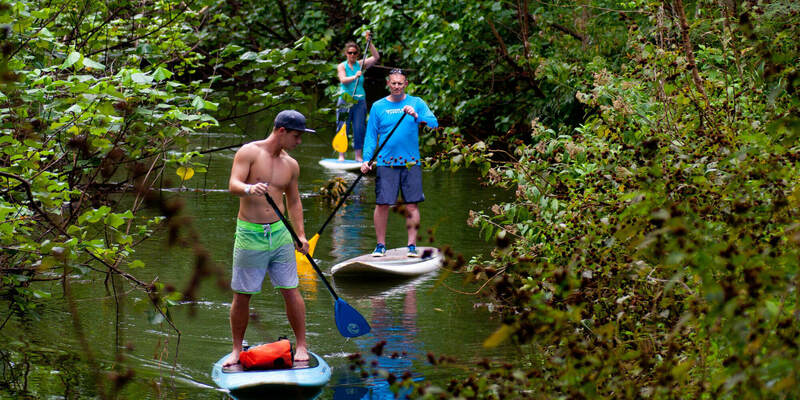 Experience this one of a kind Oahu adventure with plenty of epic views. We suggest this tour for individuals who are experienced in kayaking or are comfortable kayaking in the ocean. 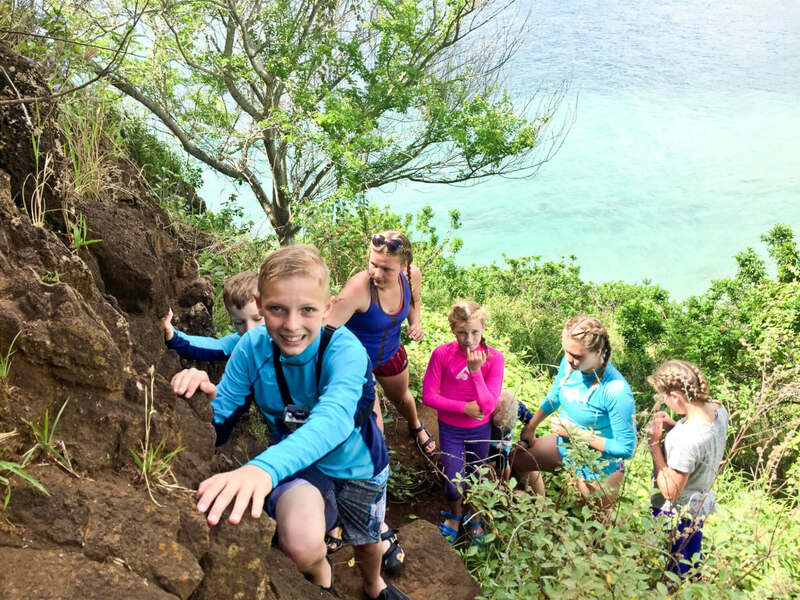 *We provide all you need to have a great time out on Mokoli'i including on-shore instruction, helpful info in our confirmation email and a map to help guide you. 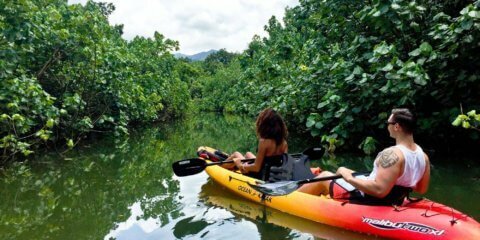 Ocean Kayaking Experience and Hike combo. 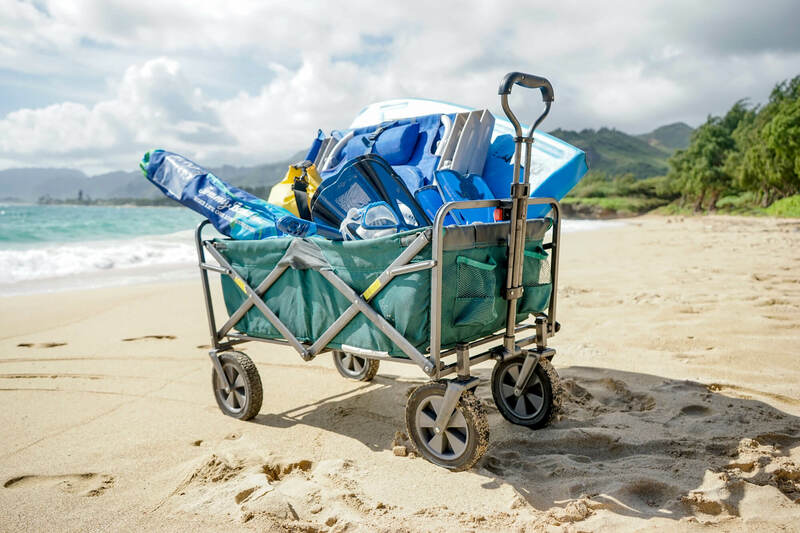 Convenient equipment delivery and pickup right next to the beach. Self-guided experience with personal on-shore instruction before you set out on your own. Moderate to advanced climb to the top for some amazing views. 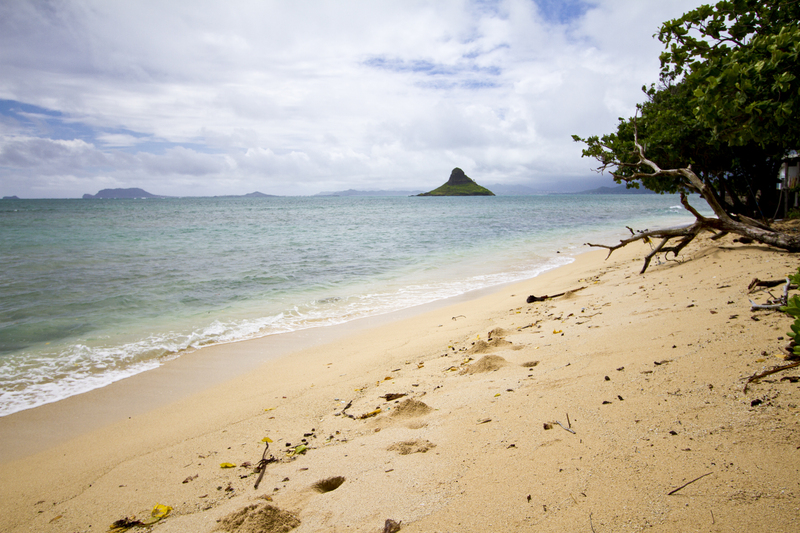 Bring/wear water shoes or athletic shoes if you want to hike around on Chinaman’s Hat. Life Jackets are provided as well as Dry bags and all the other equipment you need for the experience. If you bring snacks and water, be sure to pack out the trash. On the Chinaman’s Hat Self-Guided Kayak Tour, you’ll experience the adventure of kayaking on the ocean and get a great view of the Ko’olau Mountain Range and Kaneohe bay on the East side of Oahu. 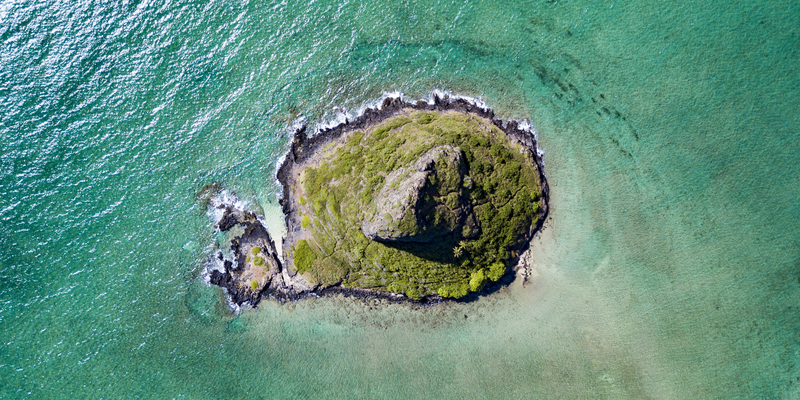 Chinaman’s Hat, or more formally called Mokoli’i, is a basalt islet just off the Windward coast of Oahu. 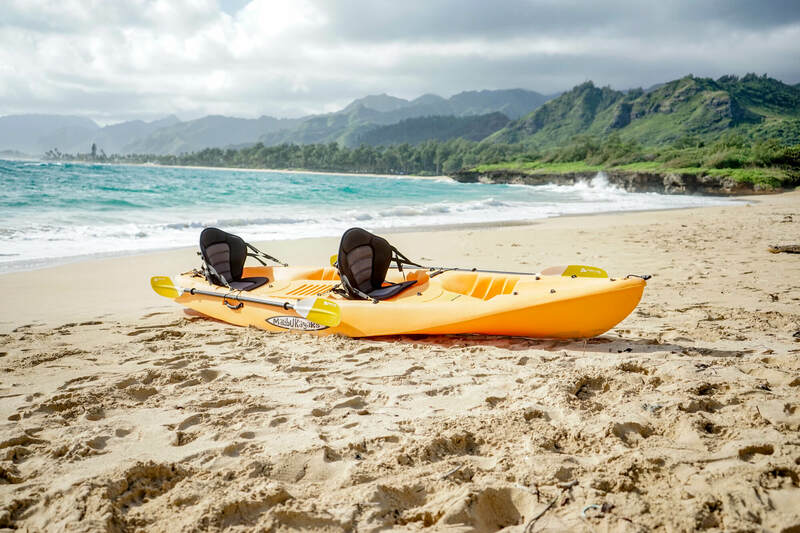 It’s between a 15-30 minute paddle out to Mokoli’i, then you can choose to hike around the islet or up one of the defined trails. Be sure to stay on the trail and pick up any litter. The island is also a bird sanctuary and has heaps of fluffy baby chicks in the spring time, so respect the local wildlife. Look, but don’t touch, they are pretty cute and fluffy. 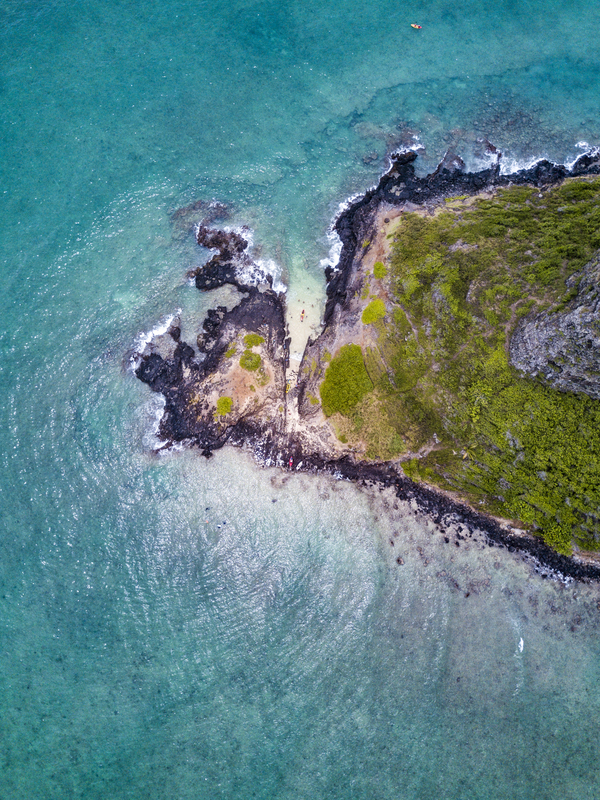 The whole experience of paddling out to Chinaman’s hat as well as hiking up and back takes about 3 hours without rushing things. If you do end up thinking it’s going to take longer, shoot us a text or call us so we can adjust our schedule. The views you’ll get will be reminiscent to movies like Jurassic Park, Battleship, 50 First Dates and many more since plenty of movies were filmed in Kualoa Ranch, just across the way. The driver will meet you at the tour location near Kualoa Regional Park and Kualoa Ranch. The exact meeting location will be provided in the confirmation and reminder emails. Expect the guide to arrive at or a little before the tour reservation time. Our drivers often use their personal vehicles for tours, so expect a call or text when the guide arrives at the tour location if you don’t spot the guide right away. The driver will be there at or a little before the tour reservation time. You’ll get a personal kayaking lesson, safety demo, description of the route and be helped into your kayaks. Hike around the circumference of Mokoli’i – This is the easiest route with the least elevation change. You will get a chance to check out the secluded mini cove and maybe some tide pools if the tide is out. It’s one of our favorite places to hang out. Although this route is easier, it’s still rocky and uneven, so wear good shoes and watch your step. 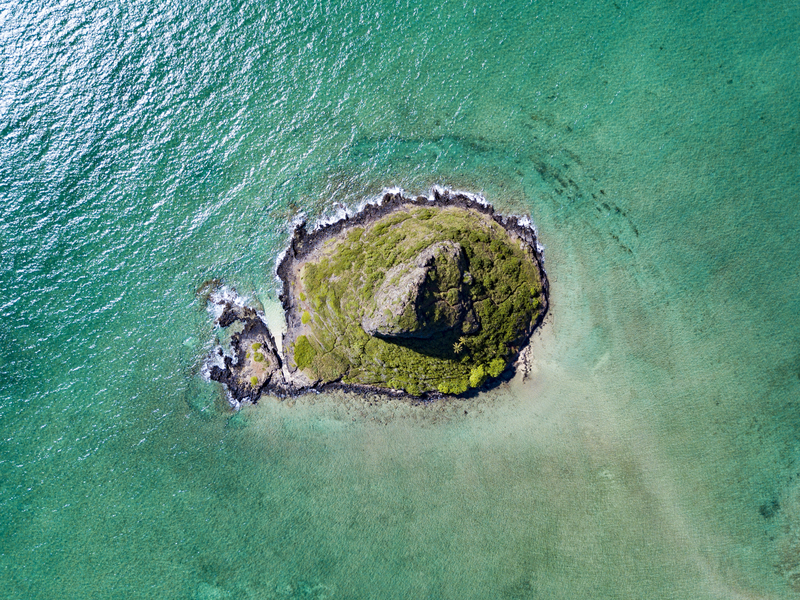 You often see sea turtles off the coast of Chinaman’s hat, so keep an eye out for them while you take in the view. 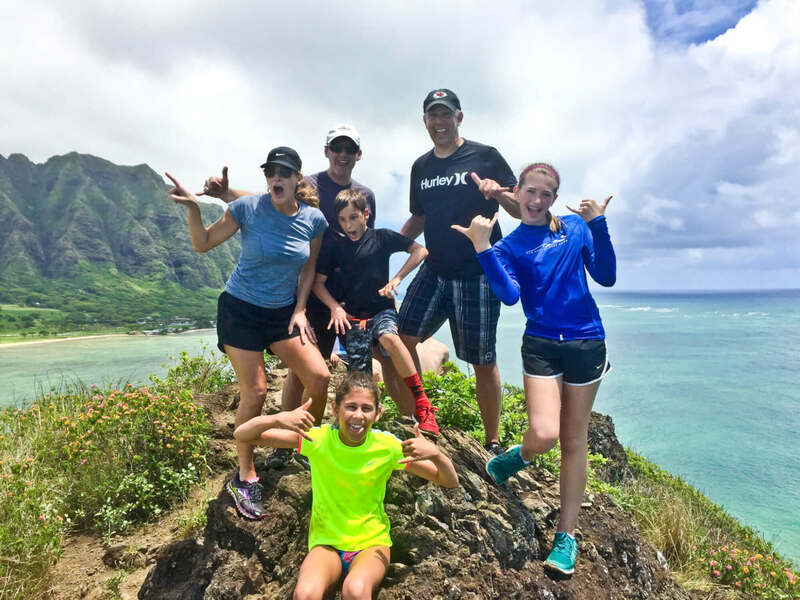 Hike up Mokoli’i – This is the most popular route, but also the most challenging. The goal is to get a better view and the trail up does a good job at getting you there quickly. It’s steep and at times slippery and plenty rocky. Be prepared to use both your hands and feet to climb and get dirty. You can stop ascending at any time if things seem too challenging and turn around to enjoy the view. If you are up to the challenge, you can hike/climb all the way to the top. The top portion of the islet is tough basalt rock, but be sure to always test your footing and hand holds because you have to do a bit of bouldering to get all the way to the top. When you are close to the top, we like taking the path that forks to the left and then climb up the wall on the right side. It’s a lot easier. We’ll get you more details on that in person. Basically, whatever route you choose, you’ll have an amazing view of the windward coast from Mokoli’i. The best time to do this tour is in the morning. If you are an early riser, you can call to schedule a tour before our regular 9am tour start time depending on guide availability, so feel free to give us a call. On perfect days, the ocean is completely flat like glass and you can see the coral and fish below you while you are kayaking. Ocean conditions can change quickly and kayaking can dangerous. That said, this is one of the safest Oahu kayak tours in the ocean under normal or ideal conditions. We advise children over 12 years old to do this tour, but younger children may join the tour, especially if conditions are nice. Since it’s the windward side of the island, it’s almost always breezy and sometimes very windy. 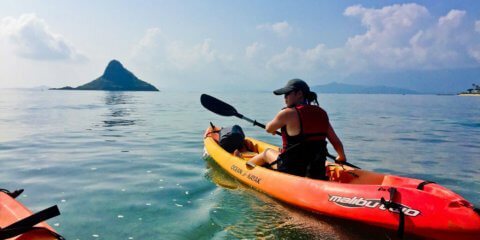 During summer months (End of May – Beginning of Sept) conditions are calmer and more predictable and the area is much more accessible to beginner or in-experienced kayakers. If there are storms or high winds we will notify you as soon as we know and can re-schedule the tour or offer a full refund. Feel free to check out our Cancellation Policy for more info.